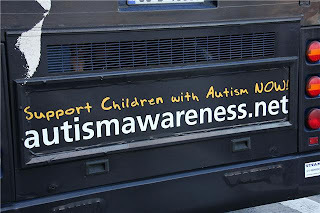 Autism Blog: Irish Website Spotted on Bumper Sticker! Excellent - just what i wanted! Ive been looking for a site that was imformative and yet easy to read for my sister whos son has just been diagnosed. Interesting.Thanks for sharing this site.